Spoiler warning for the “This Sorrowful Life” episode of The Walking Dead. In the “This Sorrowful Life” episode of The Walking Dead, Merle Dixon took on The Governor and his army all by himself. 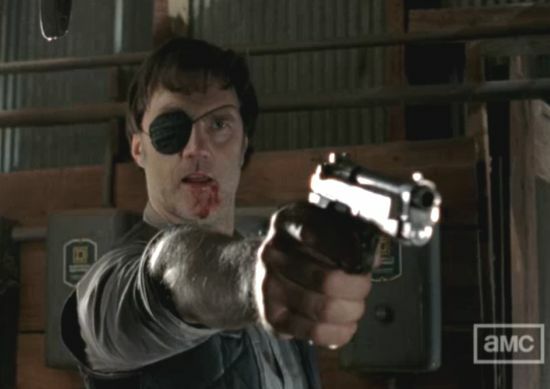 After The Governor’s men captured Merle, The Governor insisted on handling Merle himself. While the fight scene between The Governor and Merle was intense and showed The Governor biting off some of Merle’s fingers, it turns out there was originally more to the scene than what was shown on TV. In an interview with The Walker Stalkers, Producer and Director Greg Nicotero revealed that in the original cut the fight between The Governor and Merle was a little big longer and a little more brutal.